Australia’s rural towns and communities are closing down, much of Australia is being sold to overseas interests, states and countries and regions are being realigned worldwide. Town matriarch Granna Adams, her grandson Roberto, the lonely and thoughtful Clare - all try in their own way to hold on to their sense of self, even as the world around them fractures. What would you do if all you held to be familiar was lost? More importantly, where do you belong? I haven’t been able to stop thinking about Sally Abbott’s debut Closing Down since I finished reading it. Abbott has crafted a grim vision of a not-too-distant future world, where climate change and population growth have spun the planet into a precarious situation. Fresh food and water are valuable, limited commodities. Gigantic refugee stations sit on most continents, with people carted in from around the globe. Regions are trying to maintain control over their assets before other, more prosperous nations buy them out. Against this backdrop, we meet Ella and Robbie. Their jobs have them travelling the globe separately, but they grab moments when they can to meet, stop and be together. And in Australia, there’s Clare. She’s never had much, but continues to keep going, despite every setback life has thrown at her. Clare lives in one of Australia’s rural Inclusion Zone towns, Myamba. She gets by with the help of the weekly food essentials pack included with her underemployment benefits. Also in Myamba lives Granna Adams. Her prosperous family has lived in this town for centuries and she does what she can to help those who struggle to get by. But things are not as bleak as they first sound. Abbott has woven fantastic, delightfully absurd dreamscapes into this oppressive landscape. There are rumours of old bones that fall from the sky, poets who create scents so you can smell what’s no longer there, and strange black cats with golden eyes. Migration and stillness feature heavily – including the strange occurrence of walkers, (in Australia, all heading north) despite these regions being outside the inclusion zones, and the quiet that occurs when background sounds vanish as the creatures that make them cease to exist. The biggest thing I took from Abbott’s debut is the characters’ resilience and hope. Despite everything, people still care for one another. 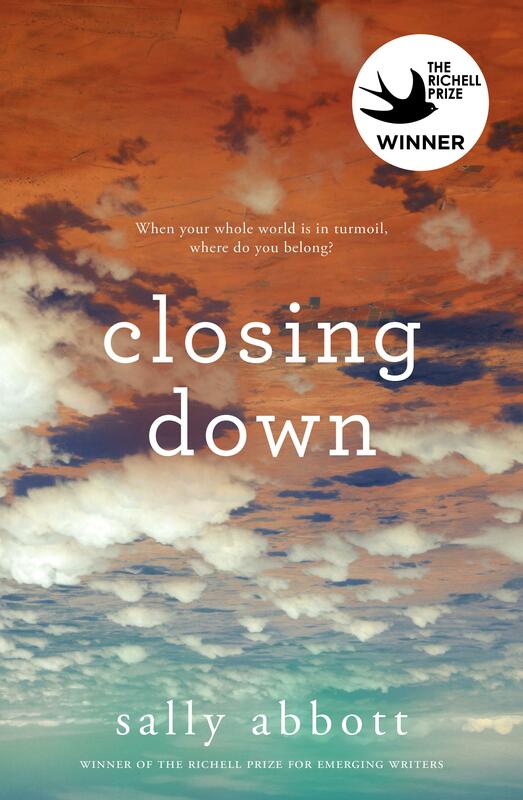 I absolutely loved Closing Down and strongly recommend everyone read it.